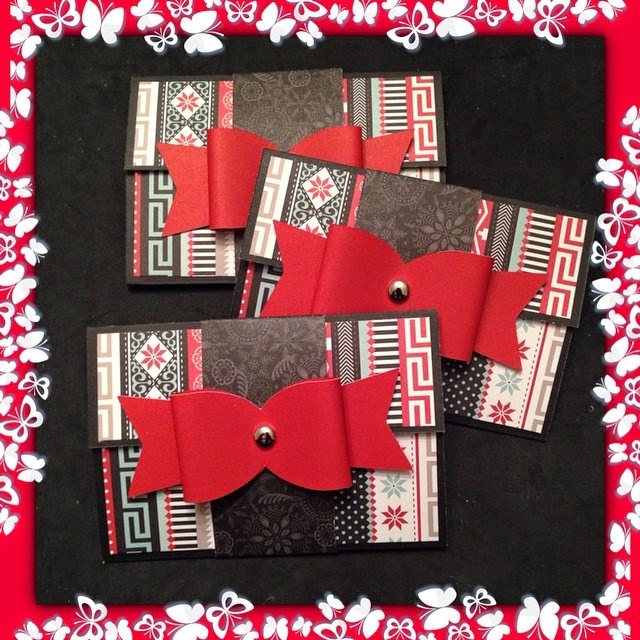 I put together some gift card holders that were so simple to make. The card base is cut at 7 1/2 x 5. Scored at 1 3/4 & 5 1/4. 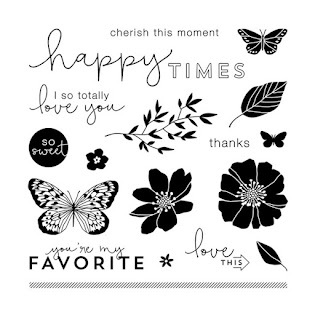 The patterned paper is cut at 4 3/4 x 1 1/2 and 4 3/4 x 2. The band is cut at 1 3/4 x 8. 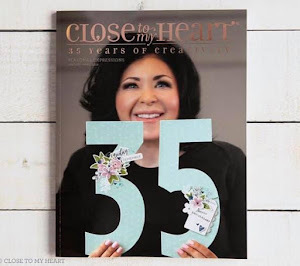 The bow was cut from the CTMH Artiste cricut cart at 1 1/2 inches. How cute are these Hershey Nugget goodies!! I cut the snowflake and banner from the CTMH Art Philosophy cricut cart. 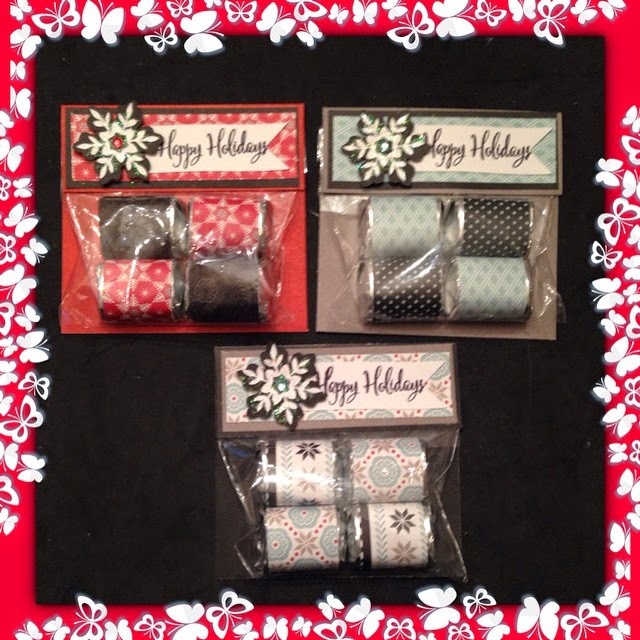 The "Happy Holiday" sentiment is from the CTMH Artfully Sent "Just to Say" stamp set! Thank you for stopping by and Happy Crafting!! Shop with me by clicking ---> HERE. These cards are so cute! I love those bows!